Provide comfort for the family of Joseph Briand with a meaningful gesture of sympathy. Joseph Rosario Briand Jr., 73 of Nashua, NH died at his home on February 2, 2019. Born March 23, 1945 in Nashua, he was the son of the late Joseph Rosario and Esther Lillian (Young) Briand Sr. and widow of Donna (Yeaton) Briand who died January 2, 1987. Prior to retirement, Joseph had been employed with Bellavance Beverage Co, in Nashua. He was an avid fisherman, who enjoyed hiking and had a general love of nature and the outdoors. 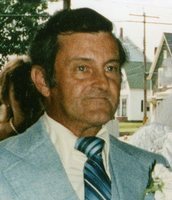 Survivors include one daughter, Cindy Therrien, of Litchfield; two step-sons, Scott Thebodeau, of Nashua with who he lived and Raymond Thebodeau and his wife, Noella, of Weare; two step-daughters, Luann Bowden and her husband Leonard, of Hudson and Elaine Tremblay, of Nashua; two brothers, Gene Briand and his wife Rita, of Hudson and William Briand, of Nashua; three sisters, Edith Tatero and her husband Richard, of Newport, NH, Esther Barlow and her husband John, of Nashua and Sandra Courtemache and her husband David, of Nashua; ten grandchildren and eight great-grandchildren. SERVICES: Visiting hours will be held Wednesday February 13, 2014 from 6:00 pm – 8:00 pm at the Heritage Baptist Church, 105 Lock St., Nashua, NH 03064 with a service being held at 7:00 pm. Family and friends are respectfully invited to attend. A graveside service will be held Thursday at 10:00 am at Edgewood Cemetery, 107 Amherst St., Nashua, NH 03064. Those wishing to attend may meet directly at the cemetery. The Davis Funeral Home, 1 Lock St., Nashua, NH 03064 is in charge of arrangements. (603) 883-3401 “ONE MEMORY LIGHTS ANOTHER”. To send flowers in memory of Joseph Rosario Briand Jr., please visit our Heartfelt Sympathies Store. Provide comfort for the family of Joseph Rosario Briand Jr. by sending flowers.